Heavy gauge Plastic Dunnage can support high capacity loads, thousands of pounds depending on the configuration. 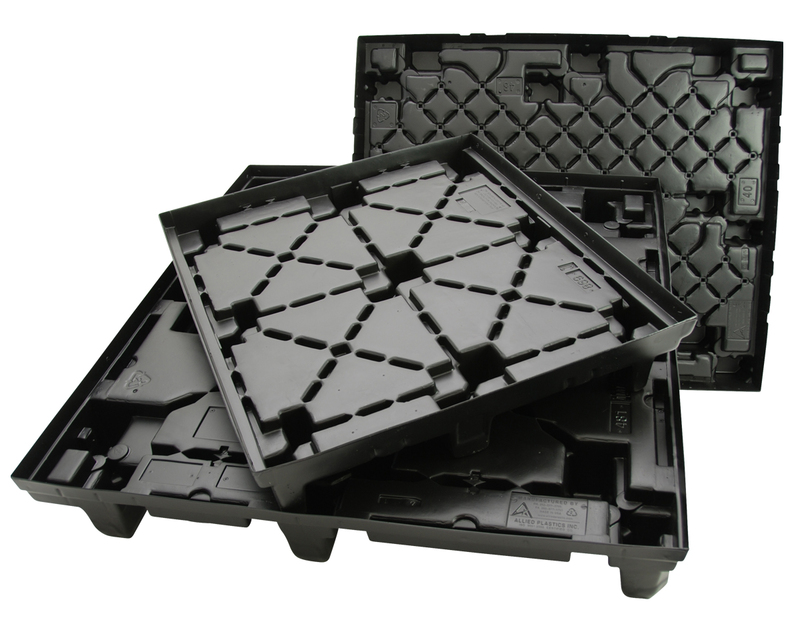 Thermoformed Plastic Returnable Packaging and custom heavy gauge Vacuum Formed Plastic Pallets are specialties of Allied Plastics. 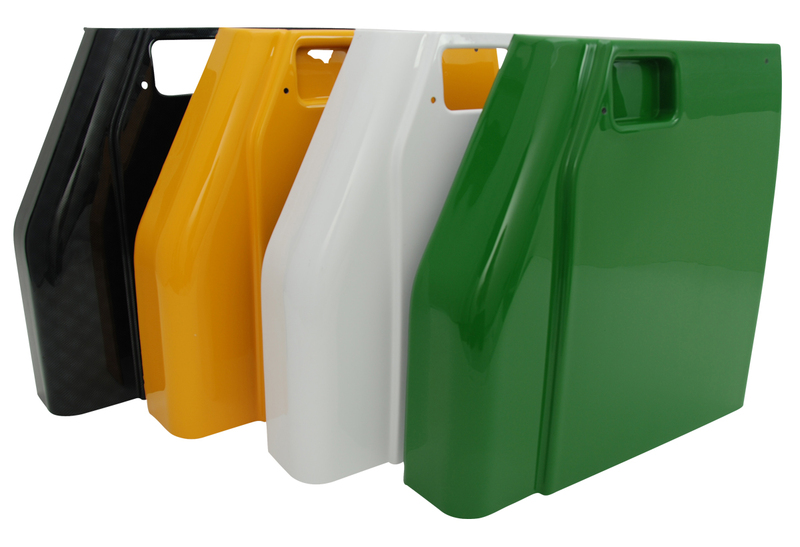 Many Thermoform Plastic solutions have been designed by our engineering team that have reduced customer freight costs, helped to protect costly equipment, and have virtually eliminated damage to fragile products. 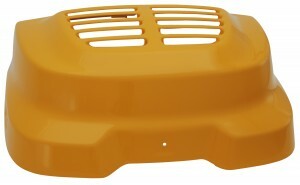 Vacuum Form Plastic Dunnage can endure extreme temperatures. 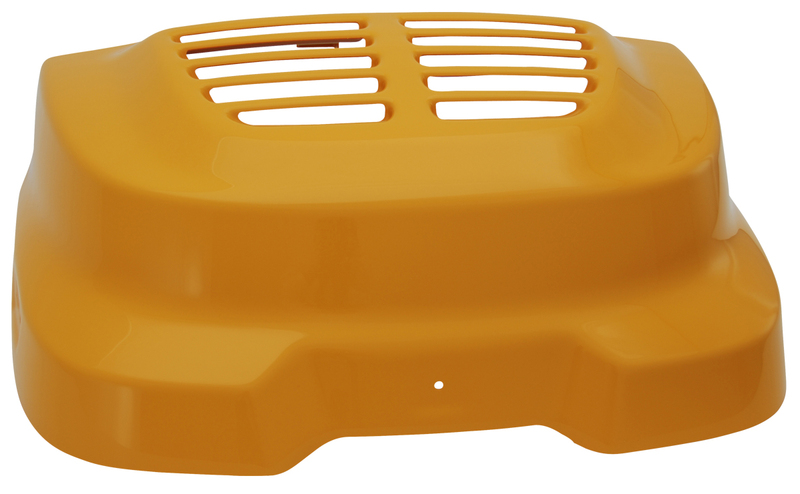 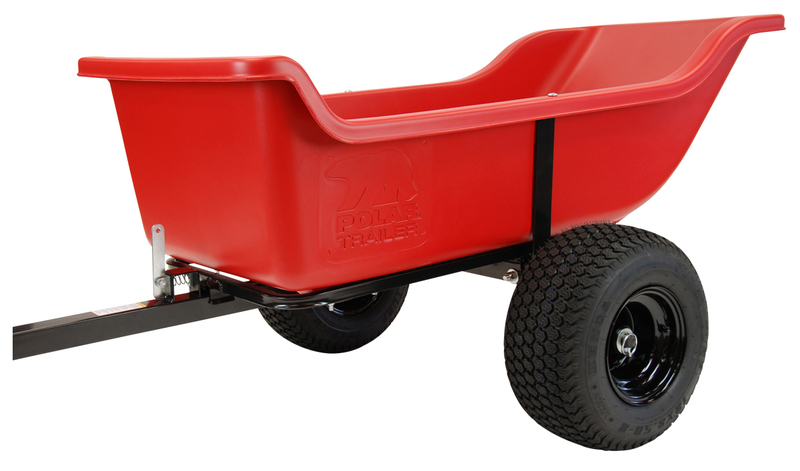 The inherent physical properties of Thermoform Plastic resist corrosion and most industrial chemicals. 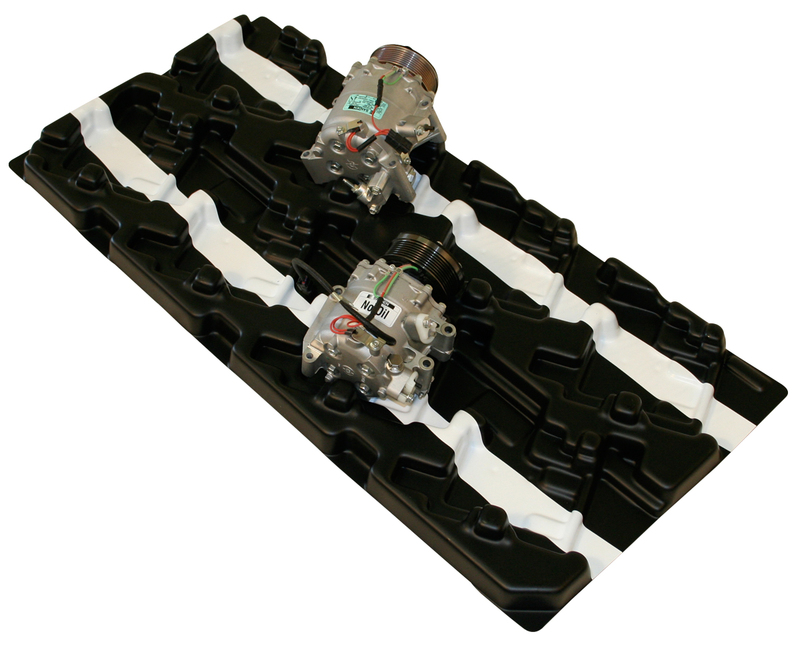 Allied Plastics Reusable Packaging can be Vacuum Formed with heavy gauge Plastic to ensure your parts and components are transported safely without damage. 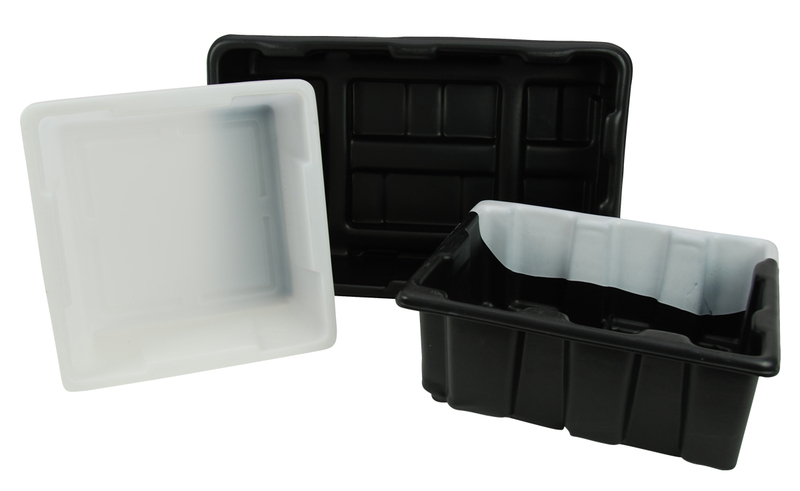 Heavy duty Thermoformed Plastic Containers can also be stacked in multiple configurations for easy storage and to fill tight or unusual spaces. Plastic Thermoform Dunnage is easy to steam clean and disinfect. 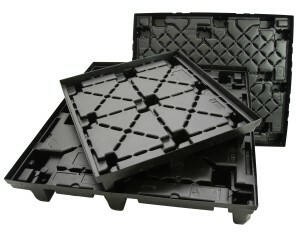 It can withstand cold and is great for freezer applications. 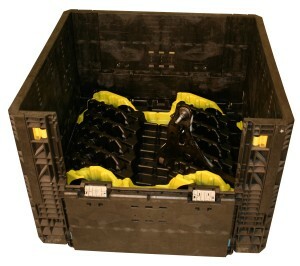 Plastic Vacuum Formed Packaging is lightweight for easy transport and reduced freight costs. When extra load strength is needed, Reinforced Vacuum Formed Plastic Pallets have composite or steel bars that are Thermoformed directly into the Pallet. 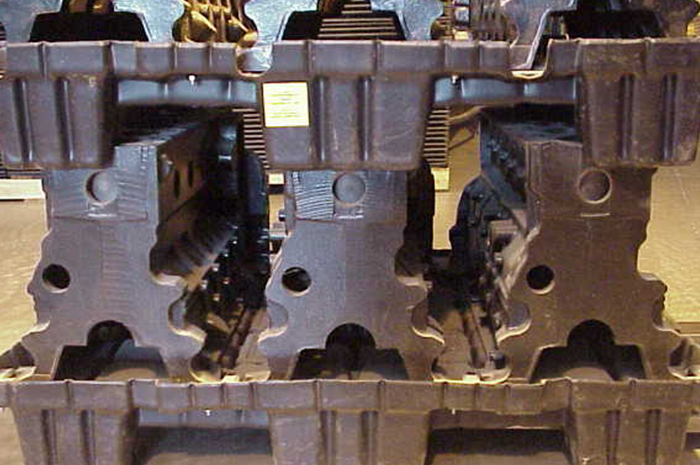 Is it time to update your Material Handling with Thermoforming? 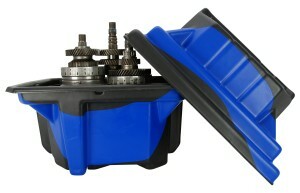 Contact Allied Plastics now.